I have received a couple of requests for another communication from this tedious place in the beyond to which I was summarily ejected, along with my man Arthur Williams by that Scoundrel Emile Dubois. That scoundrel, a murderous ruffian who once lived organising the criminal activities of a group of cut throats in the gutters of Paris has despatched me to this place where I must stay if I wish to avoid leaving the surrounds of Earth altogether. And the manner of that despatch – a knife whipped from a topboot and hurled at my chest in the course of a vulgar brawl. It seems that this was the party trick of a Gallic villain rejoicing under a name which roughly translates as ‘Marcel Sly Boots’.I cannot forgive that. It could, I suppose, have been worse; I might have been killed by his brutish manservant, another savage ruffian. That honour was reserved for poor Arthur. To be killed by a lackey! That would be a disgrace indeed. I refuse to subject myself to such an indignity as the one I understand will be required of me if I were to leave this place to venture into the beyond. As I first left my body I heard a whisper that I had nothing to fear; that I would be treated compassionately. Goronwy Kenrick, the great experimenter, ‘treated compassionately’? ‘Damn your eyes!’ With Arthur Williams’ favoured vulgar oath, I fled to this place. I am in a laboratory here, with sufficient resources to amuse myself;. I have Arhur help me sew up their skins. He objected to this as ‘women’s work’. I asked him what woman was to hand to do it? He sulked; he wishes to return himself. We do not exactly relish each other’s company. He is anxious to see the second Mrs Kenrick; I gather she is re-united with her baby. I have never been keen on nursery visits myself. On the subject of human increase, I do have some access to life in the world of the flesh here; for instance, every time Gilles Long Legs’ former poor relative, now Madame Dubois prays for me, I know of it. I see the presumptuous chit. What a ludicrous contrast that pair do make in their characters: – the one a complete villain, the other the sole of virtue. She is now increasing, but waddles purposefully to drop heavily on her knees by her bed every night and pray for her enemies. Sometimes the ruffian comes in, candle held aloft, to interrupt her. “I trust you pray for me, my angel? Keep on with the good work; if you keep at it for a hundred years, you might yet make me a good man.” They gaze on each other with stupid adoration; what fools humans are. You may wonder about whether I have seen the first Mrs Kenrick, my only love? No; for she was another of these tediously good women, and I must undergo the humiliations I mentioned above before we can be re-united. I hate that Dubois villain; I swear I will be revenged. All is not over yet. I work out my future plans. These do not involve giving up my identity as Mr Kenrick of Plas Cyfeillgar quite yet. 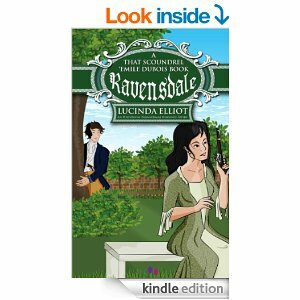 I want to thank everyone who’s bought ‘Ravensdale’ – it makes me very happy that it’s selling! For anyone who enjoys the thought of a spoof Regency Romance about highwaymen, spirited runaway heroines, outlawed Earls and underhand cousins with grudges, not to mention the odd ineffectual henchman or so, it’s still $0.99 on Amazon.com and £0.77 on Amazon.co.uk. Well, it’s obvious I love its selling – I never heard of a writer who published something in the hope that it wouldn’t sell a single copy – though I suppose someone might do that as a sort of psychological experiment. Anyway, I thought I’d publish an extract here, a comic scene from the book; I can’t give the comic bit of the book I loved writing most, because that comes at the ending, and would be to write a spoiler (of course, as it’s a comedy, everyone knows there’s going to be a very happy ending, but still…). ‘In a relatively clean and comfortable inn (which Selina might think sordid), Reynaud Ravensdale, otherwise Mr Fox, wasn’t eating a bowl of turnip soup. The landlord’s pretty wife Kate detested waste and planned to throw it back into the pot when nobody was looking. Opposite Ravensdale, Flashy Jack, who had called over and stayed to eat on his way to town, and Longface had finished theirs. Longface, chewing on a piece of bread with his remaining teeth, gazed mournfully across the table. Longface shook his head silently. Kate’s younger sister Suki came from the back. Seeing her, Flashy Jack, his bright fair hair disguised under dye, took his porter to the bar. Kate came for the dirty plates. “Soup not to your liking?” she asked Ravensdale, who had gone to stand gazing out of the window, arms folded across his chest. Mr Fox scowled and said nothing. Longface stared at him even more anxiously. “Have you got bellyache?” Kate determined to speak plain though the fellow was a real toff, even, some said, none other than the Disgraced Lord Little Dean. He kept silent, glowering into his porter. “He ain’t got a cough,” Kate pointed out. The object of their concern shifted under their gaze, which seemed to penetrate to his innards. “Mercy!” Suki joined in. She knew that they would all end on the gallows, but this was immediate. Kate, undeterred, held up one finger: “I know the very thing, whatever it is. That cure I got from that pedlar works on anything. I’ve even tried it on baby there.” She smiled on her infant, sleeping in his cradle at the side of the bar. “Well, you shouldn’t give it him, Kate. Those poisoners have surely caused more deaths than any honest rogue.” Mr Fox made for the door and stood outside – still slightly hunched, though now avoiding holding onto his chest – and gazing across the yard to where the hens scrabbled about in the dust. “There’s no pleasing some folk.” Kate went back to collecting the dishes. “There ain’t any pleasing him these last couple of weeks.” Jack turned his attention back to Suki…. …Late that night, when all was still in The Huntsman, Reynaud Ravensdale appeared downstairs, light in hand, looking for something. He searched first in the bar, then in the kitchen. At last his eyes fell on the brown bottle of the pedlar’s cure, also known as The Famed and Marvellous Elixir, which stood next to the teapot. Finding a spoon, he poured himself a generous helping, swallowing it in one gulp. Then he stood, eagerly waiting for the result. My kind friend, Tersia Berger, who doesn’t forget to think of others in her own troubles, which is unusual, nominated me for this award. I wasn’t able to copy over the last, but I am very happy to accept this. Thank you, Tersia, I am honoured. The rules are simple. Answer a rhetorical question of the author’s choosing and nominate people you consider deserve the award. My answer, ‘I would be very surprised if I did survive, but if I did, I expect I would go off my head soon enough (some would say that I already have). which is, by the way, a wonderfully stimulating blog, but I won't give this award to Mari, though it is deserved, as she avoids accepting awards. My rhetorical question is:- Would you rather be world famous after your death for writing something worthwhile, or rich in this for writing something you knew to be of no literary merit at all? 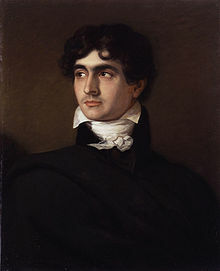 Dr Polidori wrote ‘The Vampyre’ perhaps the earliest British vampire story, for the competition set by Shelley and Byron and for which Mary Shelley wrote ‘Frankenstein’. One of the great problems with the Gothic genre, and horror and ghost stories generally, must be the danger of the horrific so easily descending into the ludicrous, just as drama can so easily become melodrama, and pathos become bathetic. I used to be frightened in my early teens by the horror stories of HP Lovecraft (which I found in a series of some old paperbacks belong ing to my parents, called, I think, ‘The Fontana Book Great Ghost Stories’; there seemed to be lots of these) . In tales such as ‘The Haunter of the Dark’ the alarming theme of covert alien invasion and mind control used to give me a real sense of horror. In one, however, the ominous suddenly degenerated into farce. In this story, a boy born to an unnatural mating between one of these aliens and an unfortunate human girl was breaking into a library where a version of ‘The Necromican’ was held under lock and key (too bad for him there wasn’t any Amazon back then). He was attacked by a watchdog, which tore his trousers (how humiliating, as if he was a post worker or common burglar) and inflicted fatal wounds. He was discovered by the staff, gradually turning into a pool of goo, but the lower half of his body (visible through the said ripped trousers) was truly inhuman. This made me laugh so much that these dismal stories’ nightmare world of an encroaching, seemingly irresistible threat never perturbed me in the same way again. A fellow blogger has pointed out to me that these stories were often published in ‘pulp magazines’ and the editors often changed text as they felt like it. No doubt this accounts for the bathetic ending to this particular story, but is a fine example of how the alarming can easily degenerate into the absurd. This is sometimes the case with classic Gothic literature, for instance, ‘The Monk’ ‘Varney the Vampire’ and the first vampire story of all, ‘The Vampyre’ by no less a person than Lord Byron’s then personal physician, Dr Polidori (this story is often wrongly attributed to Byron himself). I personally think that Byron and his friends were too dismissive of the originality of Dr Polydori’s contribution to the contest which lead to Mary Shelley creating ‘Frankenstein’ but it has to be conceded in that piece, the high flown, florid style is so solemn that it leaves itself open to satire. There are unintentionally funny bits in those two classic Gothic tales ‘Frankenstein’ and ‘Dracula’, and if that flawed masterpiece ‘Wuthering Heights’ can be classed as Gothic, for sure the melodrama sometimes turns into bathos, as when Cathy in a fit of temper with Edgar writhes on a sofa, ‘grinding her teeth as though she would turn them into splinters’ (as someone once said, I paraphrase freely). As I love a laugh above anything, I make a point when writing Gothic myself of depicting the terrifying and grotesque as also horribly ludicrous. Fear and laughter, the sad and the comic are anyway often so closely related that I have never found it possible to ‘write straight faced’. Then again, I can’t resist having the characters sometimes commenting on the Gothic nature of their own adventures. Lord Ynyr (to his ex chef, who has just tried to convince him that his favourite cousin Émile has turned into a Man Vampire): I have to remind you, Lucien, that we are not now in a Gothic novel. Lucien: That is hard to remember, Your Lordship, down at Plas Gwyn. 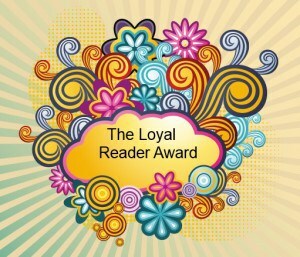 The lovely (see photo, and you’ll see) Lauryn April, writer of ‘Into the Deep’ has nominated me for the Liebster Award. So, thank you so much Lauryn April, who wrote the delightful ‘Into the Deep’ and who’s blog is at laurynapril.blogspot.co.uk Love you! 1. I think all the literary agents who rejected my writing or those of my cyber writer friends should have their heads held under a cow’s behind. 3. I’m addicted to Lucozade and tea. 4. I’m an environmentalist geek. 8. My favourite Shakespeare play is ‘All’s Well That End’s Well’ (I would be awkward!) That reminds me, I’m heading a discussion about it over on Goodreads if you happen to be interested. 9. I’d like to go for a long holiday in Provence; can’t afford it, though. 10. I’m quite little – 164 centimetres. 11. I am completely, totally, hopelessly, pathetically bad at IT. I am trying to improve it, but it’s a long, long time coming, like the Ealing to Richmond number 65 bus. 2. Favorite TV show and why? Don’t have one at the moment, Lauryn. I’m sorry to say I was enjoying the revamp of ‘Dallas’ until it stopped. it was so bad it was good! 3. When writing books are there any reoccurring themes in your work, or if you’re not an author are there any reoccurring themes in the books you like to review? Gothic and paranormal or occult stuff, for sure; I like strong women characters with a sense of humour. 4. What were you like as a teenager? Awful! Unreasonable, opinionated, argumentative…a bit like I am now, in fact. 5. Paperbacks or e-books and why? ‘Into the Deep’ by one Lauryn April. Also, my writing partner Jo Danilo’s work, ‘11.42’ and ‘The Curtain Twitcher’s Handbook.’ She’s must get them out there. Also, at the moment I’m enjoying reading ‘On the Evolution of Insanity’ by Haresh Dashwarni. Do you have a funny vacation story? The funniest I can’t tell, as they might hurt someone’s feelings. A grotesquely funny story was where I got salmonella abroad, and when I got home, looking like an animated corpse, complete with sticking-out bones and ghastly complexion, staggering along, leaning weakly on furniture, etc, a women I knew said, ‘Oh, so you had salmonella. What a shame you didn’t get a sun tan?’!!!! 7.. Have you ever been out of the country and where did you go? Across to Europe, manly, but once as far as Tunisia. I want to come and see the US. 8. Book you’re most looking forward to reading this year? Rebecca Lochlann’s got ‘In the Moon of Asterion ‘ coming out and that wil be a firecracker. Lauryn April’s next is eagerly awaited, too, and Anne Carlisle’s sequel to ‘The Firenight Ball.’ I’m also looking forward to reading Kate Hanney’s ‘Safe’. 9. Biggest turn off in a book? The main male character, or one of them, being one of those guys without human weaknesses, you know the sort, invariably irresistible to all the women, who just roll over and swoon at the sight of them. The women equivalents are called ‘Mary Sue’s’ but what are the men called? I heard somewhere that they could be called ‘Adrian’s’. Seems like a good idea to me. 10. What are you doing when you’re not reading or writing? 11. Favorite holiday and why? France. I love that country. 1. Born where? Were you brought up thereabouts? 2.. Least favourite subject at school? 3. Most hateful; character you can think of in classic literature? 4. Most embarrassing memory you care to reveal? 5. Guilty pleasure in the way of a terrible film you love? a. Donkey b. Camel c. Elephant d. Farm cart e. Shanks Pony? Are you a romantic (in either Byronic or vaguely modern sense of the term? Are you prepared to give a deserving cause (in this case, one Lucinda Elliot) a donation? If so, fill in attached form …Do you find it annoying when charities send what looks like a survey, but it’s really a way of trying to embarrass you into donating? I’d much rather they asked at once and directly myself, and I always send it back saying I might well have donated if they had made a straightforward request, which is the truth. What do you think? Keep on with the good work, everyone. I’m just breaking off here to make a few comments about the historical background to this story. By the way, it does, I promise, become as Gothic and over-the-top as any Gothic addict could wish when Emile soon arrives in Wales, and encounters the would be time-travelling vampire, Kenrick, with his precious spectacles and habit of drooling on pretty girls’ hands; (of course, Sophie has already met this invididual, once in the dining room, and once by her bed). Two reservations are appropriate here: George Orwell’s comment that regarding the Napoleonic Wars, more people were killed in any of Napoleon’s big battles than were killed during the years of the Terror, and that the guillotine, though peculiarly associated in people’s minds with the French Revolution, was merely a comparatively humane mode of execution (compared to the slow hangings favoured in Britain, for instance) introduced at that time and used until shortly before the death penalty was abolished in France in 1981 (last used in 1977). For aristocrats, though, and unfortunately often for those among them like Emile who had opposed the outrageously unjust situation of the peasants in the old order – taxed to support the artistocracy and with no political representation – the threat of execution was a real nightmare, with the new government inflexible in its definitions of who was an ‘enemy of the state’ and what constituted counter revoluionary activity. 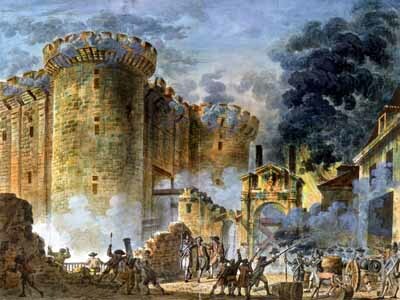 Emile of course -two of whose younger siblings have been acidentally killed when their family Chateau was set on fire – must always regard the Revolution with horror – yet as a natural democrat, had his family survived, it would be more in line with his general temperment to support the aims, if not the methods, of the Revolution. Georges’ piratical lieutenant isn’t able to make any money by letting Gilles Longlegs know where the blonde Englishwoman has gone. She seems to have vanished completely. A couple of weeks later, Georges is in his room behind the workshop which serves as a necessary cover for his activities, entertaining two women once again (perhaps this time one of them won’t pass out). People might call them ‘Women of Easy Virtue’ or ‘Women of the Night’ but women have to make a living as best they can, particularly in times of social upheaval. Anyway, he sits with them perched one on each knee, and as the dark one of is a strapping girl he is even more proud than usual of his strong legs, heavily muscled like the rest of him. He has a hand on the blonde girl’s knee and is surreptitiously pinching the dark girl’s bottom. The girls are all admiration at the ease with which he scans the note, but can tell from his dilated eyes and quickened breathing that the news isn’t good. One of the girls kisses him. “Do not be naughty and get into a dispute with him…” The other is too busy putting the money in her bosom. Southern Georges Revels in Excess .. Meanwhile, Georges, Emile’s companion in roguishness and one time servant, is disporting himself – as usual in his time off from his warlord existence – in female company when he hears the news about Monsieur Gilles’ romantic misadventures from one of his lieutenants. He’s eating onion soup, and a very voluptuous woman with Titian colouring is feeding him croutans. Another girl was with them, earlier, but having taken too much wine, she has retired to a chair in the corner to doze and giggle. 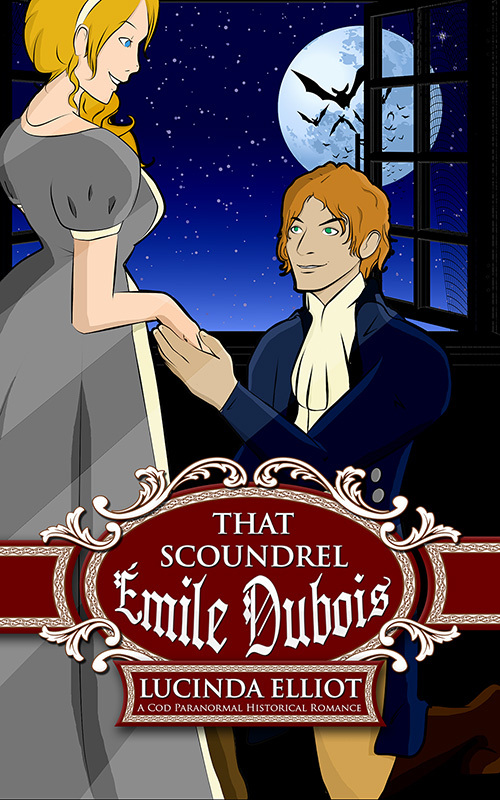 Georges finds this bandit’s lifestyle rather more to his taste than his life as servant in the Dubois family chateau in Provence; true, he worked for Emile – as democratic and easy going a master as he would be likely to find – but he was only a servant, reliant on his devastating profile, flashing dark eyes, curling dark hair and muscles to attract the women. He knows that it is rumoured of him that he has bedded half the married and unmarried women in his area; of course, he hasn’t; but he swells with pride when he hears such stories. Georges’ lieutenant is sweaty – possibly with enthusiasm for a new project – but more likely because it’s warm spring weather and he has no access to a bath, and he likes to tie his head up in a scarf after the manner of a pirate, a style of headress that Georges finds ridiculous in a landsman. Georges’ eyebrows go up and he puts down his spoon. Something flickers in the depths of his eyes, perhaps, but his underling doesn’t see it and Georges returns his eyes to the girl sitting across from him, who has undone several fastenings on her dress. 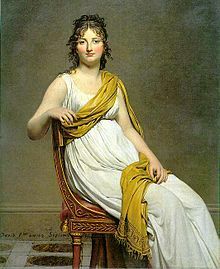 It would be a spoiler to say how Sophie comes to turn up in Revolutionary Paris in May 1794 (when by all accounts she should be in her older brother John’s house in Chester, before being despatched to Plas Uchaf, North Wales) , but anyway, Emile as Monsieur Gilles meets her and is touched. Very touched; you might say, besotted. After all, Emile isn’t naturally heartless, though he may be leading a brutal lifestyle; in creating him, I wanted to portray a male protagonist who is, in fact, naturally amiable and jolly, high spirited, playful, and given to laughing at himself. He’s a nice rogue (though one with a violent streak as regards other men) who gets caught up in a series of impossible situations. All this is watched by Francoise, the grand-daughter of the alarming woman who runs the lodging house where Emile lives with his fellow scoundrels. She knows all about falling in love; she’s missing her old sweetheart back in the south, from where she knows Monsieur Gilles comes too (but not, of course, who he really is). ‘Les Monsieurs’ s their terrible landlady calls them, often hold a party of an evening, with Marcel Sly boots playing the violin. Emile brings Sophie to this, where she literally lets her hair down.